Do you need smartphone insurance? Smartphones are more and more essential to daily life, but as the features and technology improve, the costs continue rising. While there are some decent bargain phones for under $300 on the market, so-called flagship models range from $800 to $1000 – and even more with some add-ons and options. When you buy a pricey new phone or replace an old one, one of the first questions you’ll be asked is if you want a coverage plan. It pays to research these things in advance and to understand the pros and cons so you don’t wind up making a quick decision on the spot. You want to weigh the cost of your phone and potential repairs against the cost of coverage. That entails checking with your insurance agent to see what coverage you have on existing policies and what the limits are. Once you know that, research coverage available from the phone manufacturer and your phone provider. Does your homeowners insurance cover a smart phone? One question that many people have is “doesn’t my homeowners policy already cover me if my phone is stolen or damaged?” That depends. If your phone is stolen or if it destroyed by a fire or some other covered peril, your homeowners or renters policy would generally cover that – check with your insurance agent to be sure. If it isn’t covered on your existing policy, you could probably have the phone and any other electronics added to your coverage for a small fee. Of course, any claim would be subject to a deductible. Learn what the coverage limits are. Most homeowners or renters policies will not cover mishaps like screen breaks, technology failures or lost phones. If you feel you need coverage for those types of problems, there are plans available from phone manufacturers and providers so check in advance to see what coverage plans they offer, what they cover and what the cost is. Here’s a handy article that offers some guidance to help you think things through: Consumer Reports: is insurance for your smartphone a smart idea? A Consumer Reports survey found that over the last two years, half those who were surveyed reported a major incident with a phone in their household. The incidence rose to 81% if there were kids in the house. 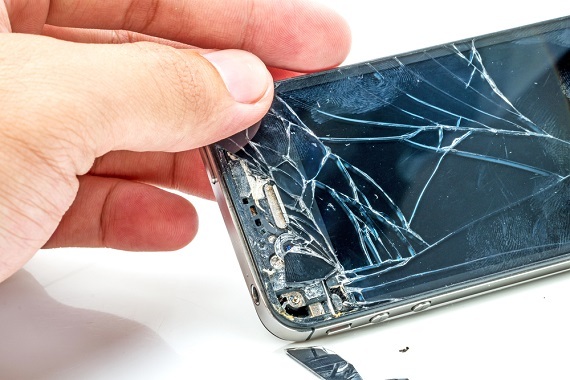 Cracked screens are the most common problem reported. The article notes that repairs for a cracked screen can range from $145 on an Apple iPhone 8 to $277 on a Samsung Galaxy S8+. AppleCare+ currently costs $129 for a 2-year plan; Samsung Premium Care is $11.99 a month. Other phone models can have different pricing. Many describe the manufacturers’ plans as more extended warranties than insurance. Major phone service providers also offer plans that offer various coverage options. Some plans include repairs, loss and theft. With any plan, find out about what the plans do and don’t cover, what the deductibles are for any claims and what the coverage limits are. So should you get a smartphone insurance plan? First, check with your agent to learn what insurance coverage, if any, you already have. Learn the limits to your coverage, such as repairs or screen breaks. Then, weigh the cost of your phone and the cost or repairs/replacement with any available plans. You might want to factor in your past experience with phones. Have you had expensive repairs or frequent screen breaks with prior phones? Consumer Reports offers this rule of thumb: if you feel like within a two year period you’re likely to have two or more incidents occur to your phone, you may want to get a coverage plan. It’s almost time to hit the road! Before you pack up the family into the RV for a spring camping vacation, take the time to get your winterized RV ready for the warm weather. A thorough once-over will keep your RV running smoothly and give you peace of mind on those long drives. Have you talked to your independent insurance agent about insurance coverage for your RV? Depending on the type of RV and whether or not it is financed, you may or may not need separate insurance coverage from your auto. But even if you are not required by law or by your financing company, it’s a big investment so it makes sense to talk over coverage options and to know your choices. Below are a few checklists to help you get your vehicle ready for adventure. They cover everything from preventative maintenance to tips for packing safely and efficiently. Don’t forget the fishing poles! Did you ever set out for you summer vacation only to return home a few minutes later to double check that you’d secured the garage door or shut the kitchen window? When you’re packing up for a trip, the natural focus is on planning for where you’ll be … but you don’t want to come home to a major problem, so an important part of any trip prep is to take the time to secure your home before you leave. Our friends at Chubb Insurance have compiled a great interactive trip planning guide with tips tools you need to prepare for your trip so that you can depart worry free, View the short video below or download Home Preparation Tips – Steps to protect your home, vehicles, valuables and security during your next trip. Chubb also offers security advice for while you are on your trip – check out the video or download Travel Tips for managing your documents, money, valuables, technology and more while you’re away. Going on vacation? 5 steps to secure your home while you are away! It’s getting to be that time of year… back-to-school season! Over the years, we’ve posted lots of advice for parents and students of all ages. In this post, we’ll offer some of our best back-to-school posts, with a few new resources thrown in. Kids heading off to college? Double check insurance coverage first – we talk about homeowners/renters, auto, ID theft, tuition insurance and stand-alone policies for electronics. College survival guide: Safety tips, what to pack, dorm hacks – a handy list of checklists from safety & security to eating healthy in a dorm. ID theft is on the upswing and college students are at high risk – common types of fraud, resources to avoid ID theft or deal with it if it happens, and information on identity theft insurance. Rental Insurance for the College Graduate – we suggest this as a gift for recent graduates, but it is as valid for students who will be renting. The post talks about myths, checklists and what you need to know. Tips from 60,000 pediatricians about back to school safety – this post focuses on safety issues around traveling back and forth to school. You can also click for an updated checklist of Back to School Tips from the American Academy of Pediatrics. Backpack safety – there are a surprisingly high number injuries from overloaded back packs. Learn how to be sure your kids are not at risk. KidsHealth: Back to School – lots of advice for parents, or click through to get advice for kids, too. Getting married? There’s a lot you need to think of both before and after the wedding, but in all the planning, one of the things that is often overlooked is your insurance insurance needs. Have you notified your insurance agent about your plans? He or she can be one of your best friends! For example, as a couple, you may be eligible for auto discounts or a savings on health insurance. You may also want to secure life insurance, and should be sure to change the beneficiaries on any key insurance or savings plans that you do have. The Insurance Information Insituitue (III) offers a handy checklist of insurance considerations for married couples. Different insurance companies offer special coverage that you can add on, such as protection for gowns, gifts and honeymoons. Of course, insurance is only one of the things you need to think about. You need to know your state law. 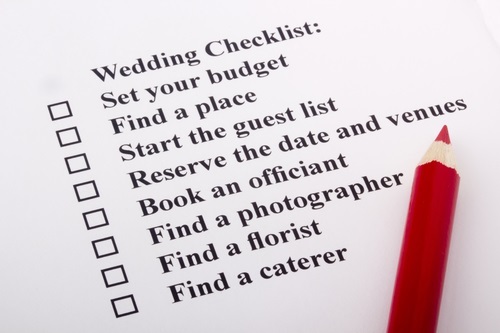 Below is a very helpful 2-part guide to getting married in Massachusetts … it offers a great breakdown of things you need to plan both before and after the wedding. While laws vary by state, the MA Guide offers a simple checklist for some of the common issues and responsibilities people need to consider and address, no matter where they live. We’ve also included links to laws for other states. Who Can Get Married in Massachusetts? Who Can Conduct a Wedding in Massachusetts? Where Can We Get Married in Massachusetts? What Paperwork Do We Need to Get Married in Massachusetts?